Men aren’t the only ones who can wear nice, name brand watches. There are many brands that specialize in women’s watches. While any watch is practical, you should also think about the quality and design of it. You can find some of the most beautiful and durable watches from the following brands. In 1868, in the town of Glashütte, in the Ore Mountains, Adolph Lange established his watch-making industry. As the years went on, this brand is known for its craftsmanship. Since the watches are manufactured and designed in-house and on site, only a small number of them can be produced each year. A two-disc mechanism allows a feature that displays the date up to five times larger than regular watches. Louis-Francois Cartier founded Cartier in Paris in 1847. This brand was known to make jewelry for kings and world leaders. That was, until 1911; Louis-Francois’s grandson, Louis Cartier, helped in the launching of Cartier’s timepiece collection by introducing The Santos. This started Cartier’s rich history of fashion watch-making. Apart from The Santos, Cartier introduced other watches that are still classics today, including The Bagnoir, The Tank, and The Pasha. 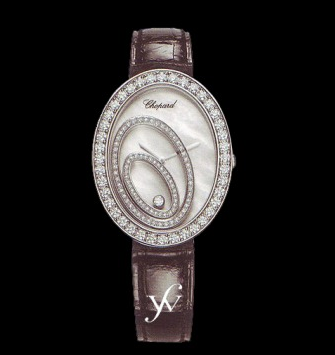 Chopard is known for still being an independent and family-owned business. It is also one of few watch companies that creates and controls its own timepieces and their movements. Carlo Crocco, the creator of Hublot, grew up in an Italian watch-making family. In 1967 he designed his first watch and in 1980, he set up his own company. In that same year, he created the first Hublot watch, the first watch to have a natural black rubber bracelet. Panerai is a Florentine company that was established by Giovanni Panerai in 1860. The initial production of the watches was designed for the Italian Navy, thus guaranteeing the timepiece’s quality was top-tier. However, due to their exclusive contracts with the Italian armed forces, the timepieces were not readily available to the public. Georges Edouard Paiget first opened his business in 1874. In 1957 the company developed a new movement for a watch, which was a thin manual wound. In 1960 the company developed the thinnest self-winding in the world. Moreover, this company who is still in business also sells jewelry. These are some of the popular brands of women’s watches. If you want to purchase a women’s watch as a gift for that special woman in your life, visit Finest Watches today.